We provide executive car services to and from Winchester. Reliable, professional and luxurious business travel , VIP transport and private chauffeur services. If you are looking for a reliable and professional business travel, VIP transport or private chauffeur service to and from Winchester, then please get in touch with us. Whether you are visiting the area for business, corporate event or want to spend time sightseeing or shopping, let us be your guide. 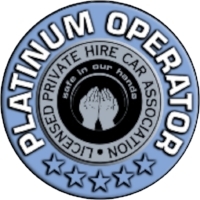 We have provided executive car services to both corporate customers and private travellers in an around the Winchester area for many years. You can rest assured that our service is impeccable from start to finish. Please note all prices are subject to VAT at the standard rate. If you are interested in booking our executive car service and want to have an idea of pricing, here we provide some examples . If you are interested in booking our executive car service you may want to take a look at our special offers first! Winchesters’ history dates back to the Iron Age as evidence suggests the first permanent residents settled here around 150BC. A couple of hundred years later, the Roman’s moved in and built their own town, known as Venta Belgarum, or market place of the Belgae. Winchester soon extended and became the fifth largest town in Roman Britain. Alfred the Great became ruler after he and his brother defeated the Danish Vikings and in 871, Alfred was crowned King of Wessex and established Winchester as his capital. Following the Battle of Hastings in 1066, Winchester was surrendered to the invading Normans and remained a significant cultural centre, until its fortunes declined in the 12th century and power and prestige shifted to the new capital in London. Winchester today is a small city with a population of around 35,000. You can walk the streets today and still be reminded of its history and that at one time, it was actually the ancient capital of England. To find our more about the Winchester area, click here. Whether you are visiting Winchester on business or pleasure, we are sure you will have an enjoyable stay. We are a proud member of Hampshire Chamber of Commerce which is owned and led by its membership comprising of local business organisations of all sectors and sizes. As a private sector, not for profit Company, Hampshire Chamber of Commerce are independent and can therefore lobby effectively to make Hampshire the place to do business. If you are a member of the Chamber, please click here to read about our special offer. Winchester Cathedral is one of the largest in Europe. Take a tour around this hugely impressive building where you can learn more about the fifteen centuries of English history that lies behind it. Visit the South of England’s interactive science and technology centre which has the largest standalone planetarium in the UK. There are two floors of fascinating, interactive science exhibits to enjoy set in beautiful surroundings. Marwell Zoo is one of Hampshire’s top attractions with 140 acres of wildlife park which is home to hundreds of animals from endangered Amur tigers, snow leopards and white rhinos to giraffes, hippos and penguins. This 17th Century luxury hotel is situated just outside of Winchester. Not only does this superb hotel boast luxurious suites, it also has award winning dining in the Avenue restaurant. This 4-star hotel is ideally located in the heart of Winchester with the Cathedral, shops and eateries a short walk away. Perfect for business stays or leisure with a range of rooms to choose from. A stylish 4-star hotel located in the centre of Winchester offering a luxury spa, health club and wide range of dining options. Perfect for leisure visits and business trips.